Block 4B Summary - Bissau Exploration Co.
Bissau Exploration Co. (BEC) has undertaken both regional and licence specific work since September 2017 when they were informed they were to be awarded block 4B. 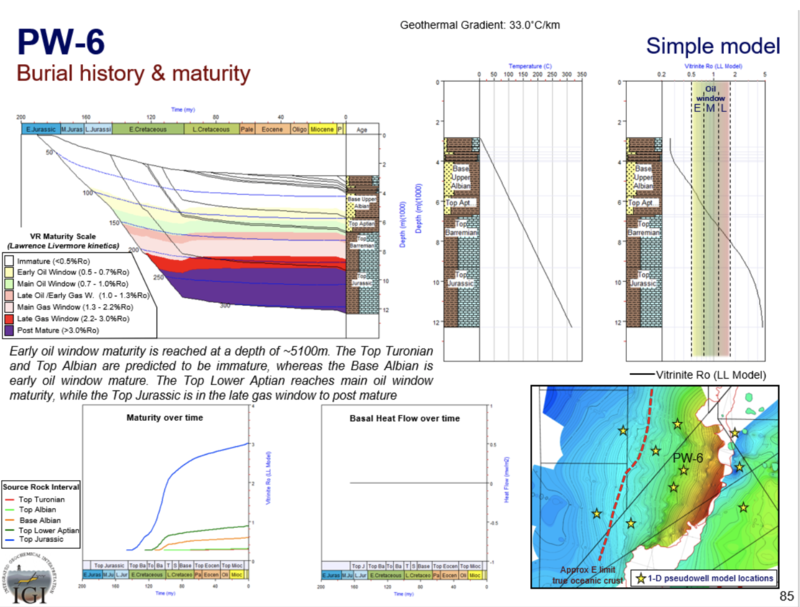 By working with TGS, BEC has secured access to best in class (multi-client) 2D seismic of two vintages – 2012 and 2017 – totalling just less than 3,000 line Kms. TGS geoscientists were engaged alongside other recognised experts to produce an independent integrated interpretation that is consistent with the southern end of the MSGB basin. Following multiple meetings with major oil companies where BEC’s interpretation was challenged we are confident we have developed a sound view on the prospectivity of block 4B before shooting the 3D seismic. In addition to TGS’s interpretation group, BEC also engaged Beagle Geoscience to interpret the 2D seismic, particularly because they have the benefit of knowledge gained from working with all the surrounding operators. The Beagle and TGS seismic interpretations are very consistent which is encouraging considering that the only good well control is over that part of the block on the shelf. In the basinal part of block 4B, the only well ties are Kora – 1 and DSDP location 367, the latter being to the west in the Atlantic Ocean. The Kora well is located to the north in AGC waters in an area of extreme structuring (salt cored, faulted anticlines and slumps) and where the critical Lower Cretaceous section is thin. It clearly thickens rapidly, however, across faults towards the south and Block 4B. Conversely, DSDP 367 is in an area of minimal structuring and so is an easier starting point for interpretation but, on the other hand, is constrained by a lack of electric logs and depth/time ties. Understanding the regional structure has been helped by a potential field study undertaken by Big Anomaly Ltd. The deep seated structure, including the edge of the oceanic crust, has been identified and tied to the deep records of the 2017 2D seismic – so good is the seismic data that an estimate of the depth to the Moho could also be calculated. 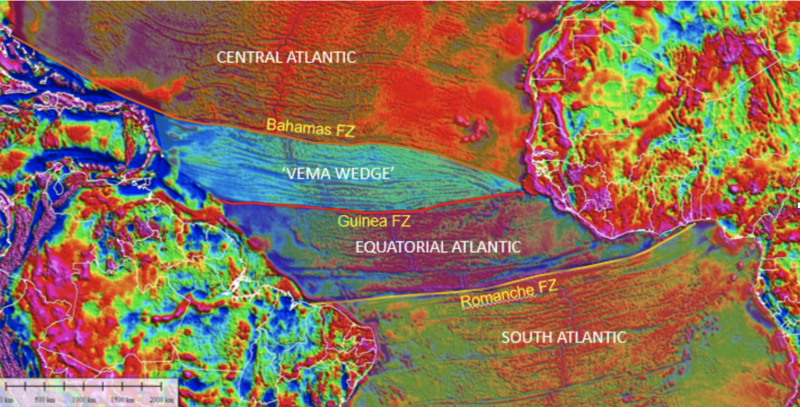 Additionally, the presence of the unique Vema Wedge oceanic crust, reaching an apex offshore Guinea Bissau, makes it somewhat unique from the area to the north (early Jurassic aged mid Atlantic rift) and south (final mid Cretaceous unzipping of the South Atlantic). Understanding the poly phase rifting of the block 4B area is critical to structural definition and estimating the paleo heat flow for burial modelling and source rock maturity (see below). The seismic investigation combined with existing well records and regional studies (acquired from First Exchange) have allowed a good understanding of the various petroleum systems active in the area. 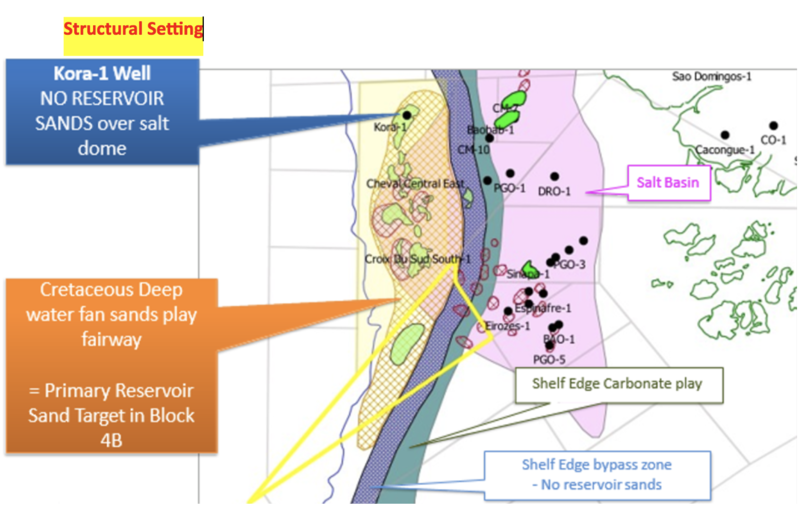 The deepest Silurian source section, as proven in the onshore, was discounted for the shelf area of block 4B due to the Jurassic aged salt section providing a regional vertical seal to any migrating hydrocarbons. Syn-rift Jurassic and early Cretaceous Valanginian source rocks are, however, of potential interest even though any hydrocarbons would be gas generating due to the depth of burial. There is little firm data for these source rocks on this part of the coast but they are proven further north in Senegal and Mauritania. The main source rocks in the Guinea Bissau offshore area are of Lower Cretaceous age and, in particular the Apto-Albian and Turonian-Cenomanian sections. The latter has excellent source rock quality and is locally mature and proven just to the north for the giant SNE and Fan accumulations. This source rock is also responsible as for the Sinapa discoveries associated with salt structures to the east of block 4B. Apto-Albian source rocks are also of high quality and have been penetrated in DSDP 367 and several of the shelfal wells, and there are proven analogues of this age across the Atlantic in both Guyana and Venezuela. 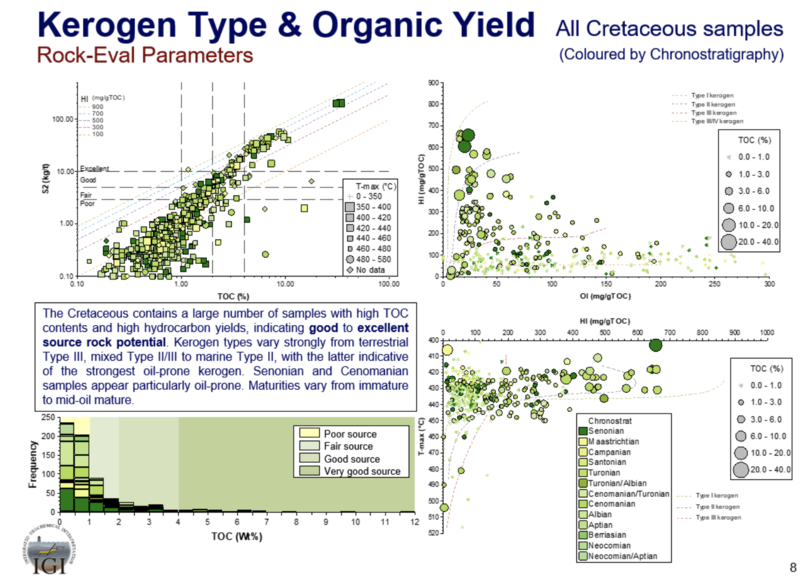 Detailed geochemical work was undertaken for BEC by Integrated Geochemical Interpretation to document all the source rock characteristics and then analyse the burial modelling. With only sparse well control in the basinal western area, establishing paleo heat flow and depth to the mantle lid was critical to the modelling so full integration with the geophysical work was critical. The thermal conductivity combined with the geothermal gradient, itself locally warped due to the salt kinetics, is key to establishing two kitchen areas relevant to block 4B. On the shelf, to the immediate east of block 4B, the excellent Cenomanian source rocks are mature for oil whilst in the downthrown part of the block the Apto-Albian section is mid mature for oil. Generation of oil in the mapped depocentre along the western side of block 4B has occurred from 70 Ma ago and significant quantities of oil are interpreted to have migrated into potential traps identified in the basin as well as via the main basin margin fault, into SNE look alike structures further east on block. The existence of excellent reservoir quality sands in both the Lower and Upper Cretaceous section along the shelfal area of block 4B is proven by numerous existing wells. The capacity for such zones to yield hydrocarbons in quantities and at rates commensurate with the commercial development of offshore deposits is proven at SNE. This field, with over 500 mmbbls recoverable, is currently being developed with a core of about half the reserves delivering with an initial flow rate of over 100,000 bopd. The Apto-Albian section is particularly thick in block 4B just to the north of the BVK Discontinuity as it runs into the Bahamas Fracture. This basin has many similar characteristics to the same aged depocentre in Mauritania, north of the Dakar Fracture Zone. Many amplitude anomalies are observed on the TGS seismic especially in the areas with hummocky seismic signature and this suggests the presence of sand filled channels. Paleo geography shows the Demerara Plateau provenance area lay to the SE of block 4B during pre-Albian times – it now sits on the other side of the Atlantic! 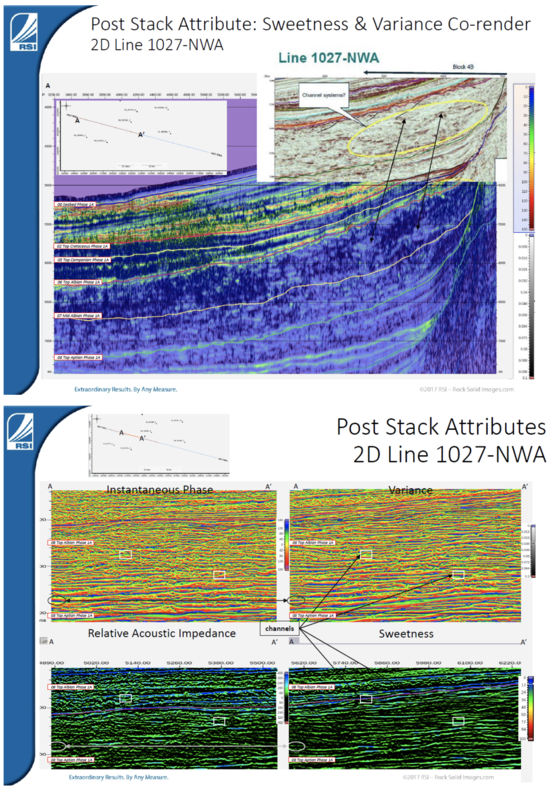 To investigate the potential for using AVO to better define sand prone seismic anomalies, BEC hired Rock Solid Images to look at the AVO responses on a trial 2D line, 1027-NWA, which straddles both the shelf/slope and basin. By quality controlling and cleaning the gathers they were able to demonstrate, after an initial AVO and post-stack attribute screening, the presence of predominantly Class II and IV anomalies. 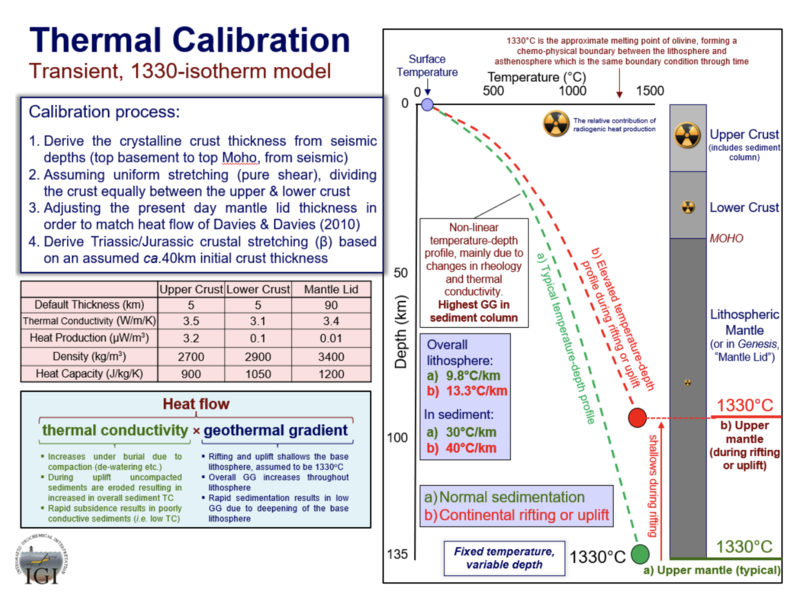 This is encouraging and supports the concept of reservoir quality rocks being present. Also, the facant gas generation, as is evident in Mauritania, where the Valanginian source rocks are deeply buried. As of March 2018 BEC is inviting interested parties into data rooms where they can review and, if desired and with a payment, interpret a 2,787 line Km data set of the TGS 2D data (2012 and 2017 vintages). This data set costs c. $1m to licence and it is an approx. 50/50 split between the vintages. All interpretation work as well as commercial documents are also available in the data room. In March 2018 BEC signed an agreement with TGS to acquire over 2,500 Km² of best in class multi-client 3D. A boat has been secured to start acquisition in mid-2018 so final processed data should be available by year end. It will cost c. $7.5m to licence this data set via TGS. It is BEC’s stated model to totally exit block 4B and deliver its 90% equity to a deep water operator. 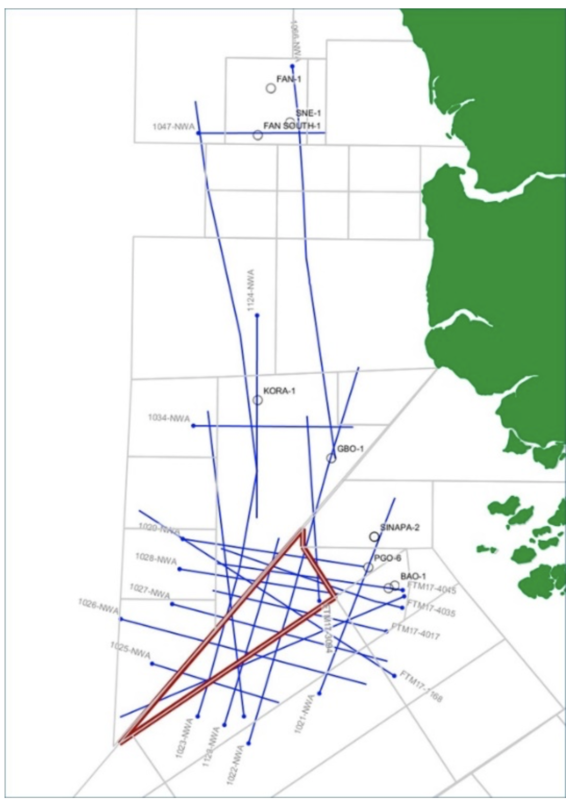 It is likely, however, most operators will want to view the 3D before engaging with BEC but the opening of a data room pre any 3D is consistent with BEC’s plans for an experienced drilling operator to take control of block 4B and drive forward exploration alongside the state oil company PetroGuin. BEC’s personnel have over several decades developed a close working relationship with PetroGuin and through the parent company, Geopartners, they have been instrumental in enabling 2D and 3D seismic programmes to be shot across offshore Guinea Bissau. Over the last few years, BEC and PetroGuin have developed a new, unique business model to tackle exploration in block 4B. Under the standard PSC contractual terms, PetroGuin receive a 10% carried interest through exploration. In block 4B, however, PetroGuin also benefits from BEC’s technical efforts and shares in any payments made by a third party upon entering the licence. All the commercial terms of the PSC, including the BEC/PetroGuin joint venture, as well as the arrangements made with TGS, are available in the data room. Area now known to have >1.5bn bbls and 30TCF, plans are being made for both oil and gas production to commence within the next five years. BP and Kosmos drill a dry hole at Lamantin – chasing a strat trap with a potential charge of oil from the same source rock that delivers at SNE. The Chinguetti field is to be decommissioned by Sterling for $30m after a disappointing production history. The decision to develop 240mmbbls – approx. 50% of the known reserves – at SNE will be made in 2019 with the first submission in the process occurring in mid 2018. Approx. 25 wells will be used to produce an initial plateau of 100,000 bopd via a stand alone FPSO. Far is still pursuing a legal claim to take Woodside’s interest in the SNE licence after Woodside acquired it from ConocoPhillips. Trace are farming out their shallow water block for 3D and a well. Some 3D was shot by Far in an earlier farm out option period (not exercised) but more is required to evaluate the Antelope prospect (c. 200mmbbls) with a well likely to cost $15m. BP and Kosmos drill a dry hole at Requin Tigre, north and on trend to Yakaar. With a large AVO anomaly this prospect had similar attributes to the existing gas discoveries in the area but it was dry. GNPC have held presentations around the world to seek companies to take on the ex African Pet licences and other open acreage. African Pet continue to pursue legal options to recover their assets (blocks A1 and A4). Far have mapped the Samo prospect with 800+mmbbls due south of SNE in block A2 and have farmed out to Petronas. The farm out is 2 for 1 with 40% equity going to Petronas and $8.6m of back costs. The well will cost $45m and is due to be drilled in 2019. Oryx are actively farming out their acreage – terms are not known. Svenska are planning on drilling in 2019 – on the western edge of their acreage. Trace, Larsen and Supernova all actively seeking farminees with wells needing to be drilled in the next 18 months. With BEC’s block also being made available to a deep water operator there is an opportunity for a super major to secure a large acreage position in country. Total have reportedly secured an option over all the offshore acreage for one year with a view they can select 3 blocks thereafter. Area now known to have >1.5bn bbls and 30TCF. To the west and north of SNE field Total muscle in on African Pet. ultra deep water block which had reportedly been farmed out but the licence was then rescinded by Petrosen. BP acquire blocks close to Mauritania and BP and Kosmos drill Yakaar 1 and find 15TCF. SNE field expands southwards with wells 5 & 6 wells both testing at c 5,000bopd and in communication. VR well to 5 km west of SNE finds 97m pay. SNE North (a bold step out) was drilled as the last well in the programme and found gas condensate and oil in the main SNE reservoir but deeper than the known OWC. There was also a new deeper oil zone. Fan South (first Fan appraisal) well was drilled and despite finding oil in one of the two targets was deemed non commercial with poor reservoir quality encountered. Fan South (first Fan appraisal) well was drilled and despite finding oil in one of the two targets was deemed non commercial with poor reservoir quality encountered. Africa Pet. announce a farm out of their A1 and A4 blocks for 3D and a well but despite this the GNPC rescinded their licenses in July and this has led to a legal dispute. Reported terms were $8.5m past costs and a full carry on 3D shoot and a well – the farminee was never identified. Far bought 80% equity in Erin’s blocks A2 and A5 for $5.8m back costs and a $8m carry on a well. Area to west of Dome Flore sees Impact farmout to CNOOC. No terms released but 65% equity will move to Nexen/CNOOC. Oryx have moved forward with their acreage having acquired a legacy 3D shoot of just less than 2,000 square kms. Svenska re-negotiate terms of Guinea Bissau blocks, extend licence and commit to 2 wells. Hyperdynamics farm out half their interest in Guinea Conakry block for cash (c $8m) plus 50% of a well. Fatala well was drilled at the end of the year and reported dry. GeoPartners Ltd is an international geophysical consultancy founded in 2009 and operating from its headquarters in London’s Mayfair. The company specialises in the creation, acquisition, marketing and financing of Multi-Client Projects and over thirty such projects have been completed to date. Petroguin is a state company headquartered in Bissau, Republic of Guinea Bissau. Petroguin was created in accordance with Decree no. 14A/86 of 4 June 1986, in its capacity as Representative of the Ministry of Natural Resources, responsible for the legislative and fiscal regime for exploration and exploitation of liquid or gas hydrocarbons on the continental platform and the Economic Exclusive Zone of the Republic of Guinea-Bissau.